NEW LOWER PRICE! Reduced C$30 / Was C$234! 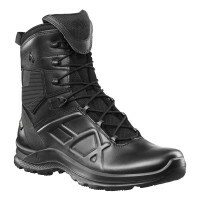 Product information "HAIX Black Eagle Tactical 20 High"
The Black Eagle® Tactical 20 High was designed to meet the needs of every active man or woman whether he or she is in the military or police, or simply into hiking. The 8 inch leather boot’s innovative features complements its basic functionality making it the ideal shoe to wear on and off duty. Despite its many features, the Black Eagle® Tactical 20 High is lightweight and durable making it the ideal boots to take with you wherever you go. The foot can be prone to many injuries when on active military or police duty which is what makes these boots the perfect footwear. It protects the foot by evenly distributing your weight throughout with its supination and pronation support. And the cushioning in the heel area makes the shoes absorbent to shock and allows you to make good use of energy with its strong spring-back material. Made out of special rubber and a unique tread design, the slip resistant soles of this boot gives you the capability to move freely without worrying about tripping or falling. This feature is called the multi-directional anti-slip grip and it can be especially helpful if you are hiking on uneven terrain or walking on slick surfaces. The boots are also oil and gas resistant and won’t mark up your floor. And to protect your foot from stones, rocks, and uneven terrain is the built in stone shield. There is nothing worse than feeling every stone or rock through the bottom of you shoes. The GORE-TEX® inner liner of this tactical pair makes it waterproof so you won’t have to worry whether it’s raining or not. And with the HAIX® Climate System, your feet are guaranteed to feel comfortable at all times. The air circulation process balances the temperature inside the boot to keep the feet cool during hot temperatures and warm during cool temperatures. In our Sun Reflect system, you will find that leather reduces the heating effect of the upper, keeping the feet cooler on sunny days. The 2-Zone Lacing system of the Black Eagle® Tactical 20 High allows you to adjust the width of your boot in the foot and leg area separately. So you have a perfect fit, even for people with very wide or slim calves. Related links to "HAIX Black Eagle Tactical 20 High"
Agency wear test reviews of the Black Eagle Tactical 20 Boots! Our comment on "HAIX Black Eagle Tactical 20 High"
Customer reviews for "HAIX Black Eagle Tactical 20 High"
Incredible boot! Goes above and beyond what the manufacturer claims. Fits and feels great right away. No break in time. Super, super comfortable! I had them for two years as a police officer. Day in day out, regular and overtime hours, details on foot for hours, the occasional rainy days, I don’t have to think about my feet with these boots on. The soles last a long time too. The Glock of duty boots. Excellent Boots Right out of the box they were comfortable and they look good. I have only one suggestion so far and that is for the laces to be a little thicker. I have not had them long but these are incredibly comfortable and great for wearing 12-24 hours at a time. I hope they hold up, They do seem to be well built so I'm sure it will not be an issue. I bought these for use in corrections and got a rather good deal on them over Black Friday. They fit my feet well and are comfortable throughout my shifts. They've held up well and I am pleased with them. Thank you for your positive review of the Black Eagle Tactical 20 High. We are glad that these boots are comfortable and durable on the job. We actually have a new version of this boot as well, the Black Eagle Tactical 2.0 GTX High. We hope you will consider this boot when you need to purchase a new pair. We appreciate your comments! Love these boots! They are a perfect weight and had no break in period. I can run in them without them feeling clumbsy and awkard. Great protection and love the lace keeper system in the tongue. We appreciate your feedback on the Black Eagle Tactical 20 High. We are happy that these boots have served you well on the job, by offering great protection with no break-in period. We are also glad that these boots are lightweight and comfortable especially when running. We hope they will continue to serve you well in the future. I am a repeat / return customer. As a Canine Instructor, my footwear needs to be comfortable and functional. These boots fit the bill. Black Eagle Tac 20 for the majority of the time doing field / practical work. GSG9 for less active days. Both boots are able to be shined up in case of an impromptu meeting. Good quality for the price, on this order I actually ordered three pair of bots for myself. I rotate them and always have at least one pair all shined up and nice looking!! These boots are a definite plus for me, at the age of 52. Some of the exciting things I participated in as a young invincible guy are catching up with me!! Thank you for reviewing the Black Eagle Tactical 20 High. We are pleased to know that the boots are comfortable and functional on the job. We appreciate you being such a loyal HAIX customer and hope all your boots continue to serve you well in the future. Stay safe out there! Let me start by saying these are great boots. Very comfortable and good looking. I have bought Danner's, Tactical Research, Bates, etc. they don't compare to these boots. I bought these boots about a year ago. I wanted to wait to see if they would hold up before writing a review. I work corrections so I needed a solid, light, waterproof boot that has good support. These boots fit the bill in all areas. The lacing system took a few days to get right but after dialing them in they work great. The hidden lacing flap is a nice touch. What I like about these boots is that the back of the boot were your heel slides in is not fabric. It seems that all boots that I have had the fabric in that area always tears and end up at the bottom of the boot. This area of the boot still looks brand new!. I would recommend these to anyone. However, I have only have to slight problems with the boot. First, one of the boot laces broke and trying to find boot laces with the right aglet size to fit through the hole in the zone lacing system is damn near impossible. Second is that after about 6 months in the sole of my right boot was making a "flip flop" sound. Not real loud but loud enough to be annoying. It makes it hard to be stealthy when I need to be. I am going to buy the Black Eagle Athletic for summer time, and I will have to give the Black Eagle 2.0 Gtx a try for next winter. We appreciate your feedback on the Black Eagle Tactical 20 High. We are happy to hear that you have found them to be comfortable and that you like the design. We are sorry to hear that the laces broke and that you had a defective sole in one of your boots. Since you bought these boots less than a year ago, these issues would be covered under warranty. I have emailed you the warranty claim form and once completed someone from our customer service dept. will be happy to assist you. Overall, we are glad that you like the boots and hope you continue to be a loyal HAIX customer in the future. Most comfortable boots I've worn! I had struggled with plantar fasciitis for years with other companies boots. In 2011 I won a pair of Haix at the Bulletproof Mind and wore them for over 3 years! I purchased another pair and they are still going strong. They hold a great polish. One thing I have noticed about this pair from my previous pair is the sole seems to be wearing out/flaking away more quickly than the other pair (bad batch?). My only suggestion to make these boots even better is make them Side-zip like you did for the athletic version. I am going to be a loyal Haix customer for the rest of my career! We appreciate you taking the time to share your experience with the Black Eagle Tactical 20 High. We are happy to hear that you have found them to be comfortable and durable. We apologize that the sole is is wearing away on this pair. We certainly stand behind our craftsmanship and I will pass along your concerns and further investigate the issue. I do believe we will be rolling out another side zip boot in the future, so keep checking back for updates. We appreciate your loyalty and your service! Stay safe out there! These boots are by far the best boot you can get as a LEO. They hold up very well. My first pair lasted me close to 2 years. The pair I just purchased a little over a month ago are just as nice. Yesterday, I stood in these boots close to 15 hours during the presidential inauguration and I have little foot and ankle pain. Several other of my other partners were complaining about foot pain after 6hours of standing with other brand boots. We really appreciate your feedback on the Black Eagle Tactical 20 High. It is good to know that the boots were still comfortable even after standing for 15 hours at the Presidential Inauguration. Thank you for your loyalty to HAIX and for your service. I've been a police officer for 14+ years and these are the best boots I have ever owned! They feel like wearing running shoes. They also do great on snow and ice. The cusion and shock absorbers are great. I am a tough critic when it comes to reviews but these boots are top notch. Thank you so much for your raving review. We are happy to hear that you find these to be the best boots you've ever owned as far as comfort and grip on snow and ice. We appreciate your service and hope these boots will continue to serve you well in the future. We appreciate you taking the time to share your experience with us. We are happy to hear that the Black Eagle Tactical 20 High have served you well over the last four years. 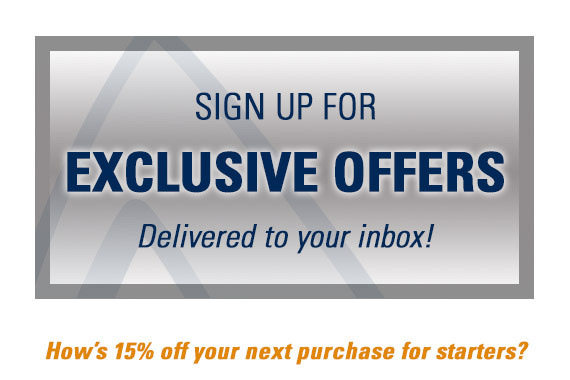 We hope you will continue to be a loyal customer in the future. Stay safe out there! We appreciate you sharing your experience with us. We are so happy to hear that you find the Black Eagle Tactical 20 High boots and insoles to be comfortable and of high quality. We appreciate your service. Stay safe out there! So purchased these from an authorized retailer. They fit like a glove in the lower section and are very comfortable. However the upper section is in my opinion horrible. The left boot has at the very top rubbed through my sock, and made my calf raw and even bleed. I have tried to unlace the shoe at the top and have resorted to wearing a 4" bandage at the contact point to prevent further injury and discomfort. I purchased another of boots from another manufacturer as I needed a pair and am in my shoes 12 hours a day as a LEO when on duty. It's a shame because they started out to be a 10 star boot but failed miserably at the top for people like me who have larger calves. We are sorry to hear that you had some issues with the fit of your Black Eagle Tactical 20 High boots. We understand that you have been in contact with customer service in hopes of getting this issue resolved. Thanks for taking the time to share your experience with us. I have had many different boots over the years and none have lasted this long and are not near as comfortable. Years back I broke my left foot and after that finding the right boots was difficult but I paid a little more for a better boot and it has far exceeded my expectations I will only purchase these boots from now. on. Thanks so much for your feedback. It's great hearing that the boots have served you well. Thank you for being such a loyal customer. We appreciate it! Need to go back to a hook lace up system! Good comfortable boot but it's lacking in the ability to get a really good fit with the lacing system. Haix please go back to the hook lacing system above the foot like on the p3. It makes for a much better fit. Hello Mat, We're sorry to hear that your not happy with the lacing system on the Tactical 20 High. Please call customer service at 866-344-4249 to see if they have any tips for you. I love the boots. This is the second pair of Haix boots I have purchased and plan to continue (previously had a pair of Black Eagle Athletic 11 High). They are the best I have found in my 16 year career. Great ankle support, light weight, look great and all around best comfort I have found. Even with arthritis in my ankles I can be on my feet for 16 hours an experience little discomfort. Only one complaint... The second eye hole from the top comes unstitched easily and soon after I get them. I have not made a warranty claim because it take forever for my department to get them sent off, leaving me with old boots to wear for a long period of time. Of course it maybe the fact that I like to lace and wear my boot very tight. Oh, and the laces that come with the boot WILL break within about 2 months. Overall, I would recommend these boot and the Black Eagle Athletic 11 High to anyone. Hi Jacob! Thanks for taking the time to share your feedback with us, we appreciate it. We're happy to hear how well the boots are working out for you. As for the eyelet, please contact our customer service department to see what they can do... that would be happy to help. I am a 26 year veteran police officer. I have worked in patrol or SWAT for my entire career. Back in the 90's another manufacturer made a boot with a tennis shoe type sole, but they discontinued the style. I have been looking for a pair of comfortable and functional boots ever since. Generally I have located some that were comfortable, but would slip or wear out quickly, or functional, but hurt my feet after a few hours of wear. This is the first boot that fills both roles I have located in 20 years. Due to past serious ankle injuries, I have to have a tall boot. These boots offer excellent ankle support, without being so rigid that they are uncomfortable after driving for long hours. My agency runs 12 hour shifts, and these boots feel as good in the morning as they do when I take them off at night. Some of my off duty jobs require standing on my feet for many hours on concrete, again my feet no longer hurt at the end of my gig. The lacing system allows you to set and lock the bottom laces, so that all you have to do is pull the top laces and tie. It eliminates the need for zippers and keeps them fully waterproof. There is even a small pocket built into the tongue that holds your excess laces to prevent them from ruining a good foot chase. The added bonus of being waterproof is awesome! However, they breath better somehow and keep you feet cool even in our Texas heat. My break in period was a couple of shifts, but they were comfortable right out of the box. They appear to run true to size and are consistent with my Asics running shoes. My only complaint is that I wished they had marketed this great product more aggressively, so I could have found them earlier! They are worth the extra coin, and even come with a two year warranty. Thank you for taking the time to share your HAIX experience with us, we appreciate it. We're very happy to hear how well the boots are working out for you. Thanks for all you do, and stay safe out there! This is my second pair of boots from Haix. I highly recommend these boots for excellent comfort and fit. The soles are very durable and add comfort from standing on hot asphalt for long periods of time. I purchased the high tops for added ankle support and protection. I bought Haix Black eagle boots for my NG boot camp - first that I noticed, theyre darn light and very waterproof in light and heavy rain. I was sitting in trench for 36h and it was raining, but my feet become wet only when we passed the knee-deep river. Three sock changes and boots become dry again. These never get smelly, thats amazing. And the grip is amazing too, when You see that your buddies slips and falls, but You feel confident and stable. After a Year of hard use, I noticed a pain in right heel, that impaired me for a training. I think its time to change the insoles. Too early to say best boot, but its right up there! I just bought this boot very recently. My first take I have to admit, prior to actually wearing it other than to try it on is very positive. I feet after a life time of abusive work(Force Recon, Civilian Law Enforcement, Dignitary Protection over a 34 plus year period) are not in the best of shape. I have been battling plantar fasciitis on an off the least 16 years in both feet. I wore these boots 12 hours straight yesterday and was pleasantly surprised that my feet this morning were minimally sore. I am 53 years old and its nice to wake up and not hobble around for the first half hour or so because my feet hurt so bad. I do like the 2 zone lacing but need to figure out my exact tension settings. The ankle support with top notch. As far as the properties of sun reflection and moisture control, its winter so that will remain unanswered for sometime. There is noticeable " energy" return in the heel area. There is also a fair amount of toe room in the toe box. I also enjoy the storage for the laces at the top of the tongue, nice feature. The height of the boot is also good. I prefer a full boot as opposed to a hiking boot height. The weight of the boot is light, which is because of the lack of insulation and sole style. If I need to a good pair of quality wool sock with a thin polypro liner will do the trick. I plan on following up this review in six months, hopefully I will be able to say the durability is good by then. The cost is not really that bad. I have been using Danners for the last 31 years, with my main stay being an old pair of Danner Ft Lewis boots, which are 3 decades old. I don't expect these last that long, but being aware of Haix's reputation, I do expect them to last long than the typical "law enforcement" boot. Thanks for taking the time to share your HAIX experience with us; we appreciate the feedback! We also appreciate your many years of service, both military and civilian! Take care and enjoy your new HAIX Boots. Enough said, just get the boots! I have extremely high standards for boots, because I do parkour. I scratch the hell out of my boots. These boots are the most shock absorbing, grippiest boots you will ever find. I can drop 10 feet without rolling and barely feel a thing. There are ankle pads, which lets your ankles move left and right just enough for whatever you need to do, but does not allow you to roll or sparin your ankles. These boots have saved my ankles so many times. They are waterproof besides the tounge, which doesn't really ever get wet unless you're standing in a foot deep puddle. The soles of the boots are extremely grippy as well. I couldn't do an about face for nearly a month until the sole was broken in, and they still grip as well as they did the first day I wore them. I wouldn't hesitate to buy these boots, you will not regret it.